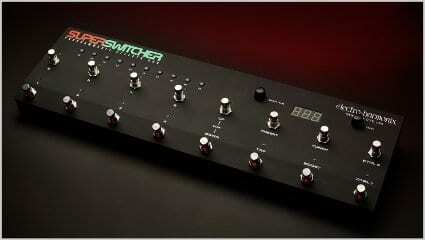 Programmable Effects Hub is the nickname of the Electro-Harmonix Super Switcher. And super is not exaggerated here for once. 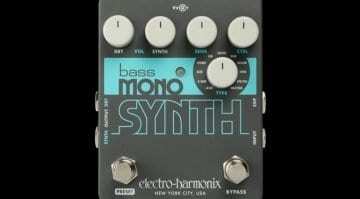 At Winter NAMM, the US manufacturer had not only the Mono Synth and Attack Decay, but also this monster controller pedal. 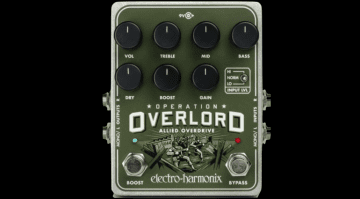 The new pedal from Mike Matthews’ Electro Harmonix is not an independent effect, but a control centre for masses of effects. Fully programmable, of course. 128 presets on 16 banks (8 per bank) can be assigned here by the user. Mono and Stereo Send/Returns, Insert Send Returns and Mono and Stereo Output to the Amp. All this means you should be able to control everything a guitarist could ever need. There are also 16 footswitches which open the presets. As if all that were not enough, Electro Harmonix has also built in a practical, chromatic tuner and a super handy controllable booster section. 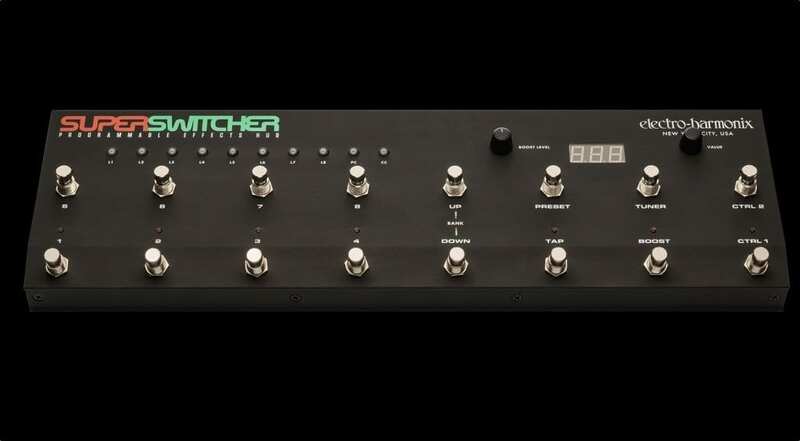 You can also use the Super Switcher so that it can send Tap Tempo to any appropriate pedals, but Super Switcher can also receive MIDI clock signals, making it super flexible. The BPMs can then be activated globally or per preset. What does the guitarist who has “too many” effects pedals need? Well, a neat control system or to possibly grow some extra feet or get a roadie to help ‘tap dance’! This is certainly an easier solution. 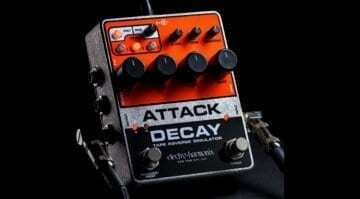 NAMM 2019: Electro Harmonix Attack Decay – Its back! 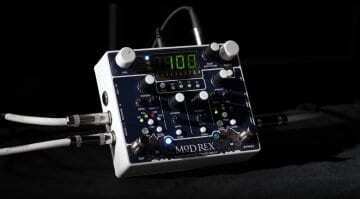 Is the new Electro Harmonix Mod Rex effect pedal a modulation king?